Does Loving God Really Lead to Loving Others? Someone in the room gasped audibly, and we all held our breath, pulses racing, eyes fixated on the television, wondering what would happen. We were gathered that evening to see the nightly coverage of the 2016 Olympics, and had only been half-watching another qualifying heat for the 5,000 meter race, when it suddenly all changed. A short distance into the race, one of the runners, Nikki Hamblin of New Zealand, had stumbled and collided with another, Abbey D’Agostino of the United States. Both had gone down, but only Hamblin stayed down. Many of us had seen moments like this before, like the infamous bitter rivalry between Mary Decker and Zola Budd, and the tangle in the 1984 Olympics which caused them both to falter in the race. So we watched with baited breath as something even more dramatic was about to happen that would reverberate around the world. I have believed for a long time that loving God leads to loving others. This is just what I have been taught from the Bible, and I assumed that it must be true. In fact, when asked about the greatest commandment, Jesus responded with two instead of one—loving God and loving your neighbor—and said they were alike. I assumed that there had to be a connection. Yet, I am beginning to rethink that idea, because I don’t find that it is always the case. I meet an awful lot of people who have their doctrine down cold, but lack warmth for those who are different from themselves. They don’t really seem to “love mercy.” I feel that tendency in myself too. And so I look at the story that Jesus shared, and ask: Are we are missing something? When the story is told in Luke, Jesus answers a question with a question, and so a scribe, a religious professional, answers it like this: “You shall love the Lord your God with all your heart, with all your soul, with all your strength, and with all your mind.” In other words, devotion permeates all areas of your life. When you study someone who is devoted to something, you will notice that their passion has totally infiltrated their lives. No area remains unaffected. It doesn’t matter if the passion is model trains, Lord of the Rings trivia, or a special someone, the same applies. That is just the nature of devotion—it spreads throughout your choices. The verse that he quotes is the cornerstone of the Law. Called the “Shema,” this text was repeated every day as part of their prayer service. It was like the Jewish pledge of allegiance, and would have been very familiar. But the second was less so. From a somewhat obscure place in Leviticus, he adds the following reminder: “Love your neighbor as yourself.” In this passage, they are called to care for their neighbors—those belonging to their nation—as well as the strangers living among them. The scribe combines these two passages to create a principle, and while it is now overly familiar to us, it might have been surprising to them. Devotion should change your choices towards others as your heart is deeply changed by God. Don’t you find this to be true with people newly in a romantic relationship? Have you ever had a chance to watch a couple falling in love? The person that you once knew subtly begins to change before your very eyes. They slowly become open to new experiences or ideas. They’re willing to try new foods that they once avoided, or see movies that they wouldn’t have. Maybe they soften in their opinions a little. Why is that? Because their heart is being changed. They are seeing people and things through different eyes. Devotion washes through their bloodstream. Jesus tells maybe his most famous parable to make the point, and the most interesting thing about the story are the characters he chooses. A man is beaten, robbed and left for dead on the road from Jerusalem to Jericho. A dangerous road, it descended 3,300 feet in eighteen miles, and was renowned for robbers. It was a road that many priests and Levites would have to take to get to Jerusalem for their bi-annual temple service, as many lived south of Jerusalem. Two of them come, one by one, heading south, away from the temple. They are headed home. Picture the scene. A priest is making his way home after an exhausting week of service. He steps around rocks on the path, negotiating his way towards a bend in the steep descent. His mind is occupied and distracted with the events of his week, and hurrying home towards whatever chaos he left behind. He was responsible for the sacrifices at the temple this time, and so he had grown weary as one worshiper after another brought their bull or lamb or dove, and as he had to cut them up and put them on the altar. He never liked blood. It made him nauseous. In fact, he never liked having to serve at all. It was a hassle. People are a nuisance. He comes around the bend, and is suddenly startled by a body lying there, bloody and naked. He glances around quickly, nervous about who might be lurking in the caves over there. But he seems to be alone. He can’t tell if the man is breathing, if he is alive at all. He peers closer. Is the man a Jew or Gentile? Must he help him? He has been helping people all week and is exhausted. I mean, when you work in a deli, you don’t go home and have bagels for dinner, right? Surely he is already dead. If he slips by on the other side of the path, he’ll never know for sure. No one is looking. Time to hurry home. Easy to compartmentalize, isn’t it? Enter the so-called “good Samaritan.” Interestingly, what we notice about the Samaritan are his actions, what he did differently from the others, that he helped the man. But there is something much more basic in the very center of the story, and if you don’t pay attention to the words that Jesus uses, you’ll miss it. At the heart of the story is a word that sets the Samaritan apart. The Samaritan saw the man and felt compassion. That is the difference. In the Greek, it means to feel something deep in your inward parts, literally, in your spleen. In English, we might use the word sympathy, but it means the same thing. The Samaritan suffered with the man. He put himself in his place. He felt compassion. Why did he feel compassion? Who was a Samaritan? Only one of the most despised individuals in their society. The Samaritans were possibly the result of intermarriage with foreigners in those inter-testamental years, and so they were seen by the Jews as pagan and unclean. It was said that “eating the bread of a Samaritan is like eating the flesh of swine,” and there was a history of enmity that went really deep. Moreover, we know that this Samaritan was away from home and travelled a lot, maybe as a merchant, and was undoubtedly the recipient of outright racism, prejudice, discrimination, and bigotry on a regular basis. Nothing should have prompted him to take the actions that he took that day. Simply put, the Samaritan did what he did because something was different in his heart. He willingly entered the story of the dying man, without asking questions as to his worthiness. He did what he did because he felt compassion. 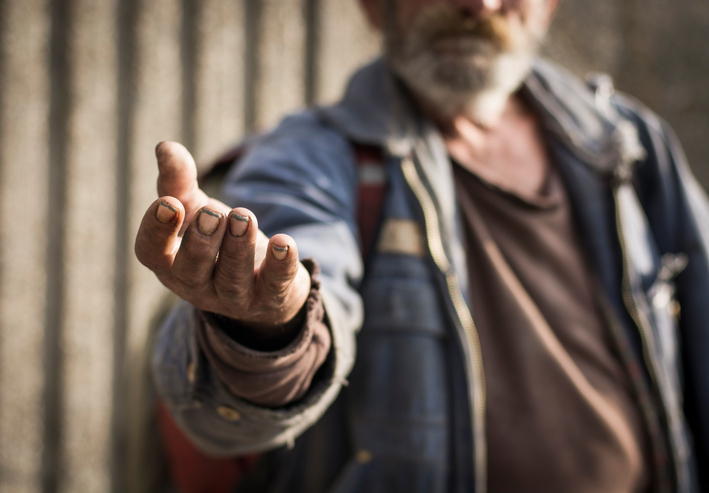 It is no surprise that one of the key descriptors of Jesus is also the word compassion, because Jesus did the same thing for us when He came down to this earth. He entered our story in order to rescue us from ourselves. I find that when you’ve been shown mercy like that, it changes your heart. You show mercy when you’ve received it. We show compassion when our hearts have been changed by God’s mercy. If you want to experience compassion in your life, you have to be willing to enter into the story of someone else. You have to be interested in how they came to this point. You have to put yourself in their shoes and see through their eyes. And you might have to get messy too. You realize that except for grace, you yourself might be in their position. Ironically, it is probably simpler to be pro-life with regards to an unborn child than it is to be pro-life with regards to your neighbor, because with your neighbor, you have to more fully enter into their story, including their choices that you might dislike. To love your neighbor, you have to remove the goggles of deserving and see yourself as someone who has been forgiven much. In my life moving forward, I want to be like her. I want mercy to overwhelm my interactions with others, just as God’s mercy has overwhelmed me. That I would be seized by overwhelming mercy … thanks for helping me articulate my prayer. Really helpful blog, Dan.